SsangYong named as best performing car manufacturer while the Toyota Prius is the top model for satisfaction and reliability. NFU Mutual is best rated insurer. SsangYong has taken the top spot in the Honest John Satisfaction Index 2018. The Korean carmaker was crowned as the number one manufacturer in the UK, with drivers praising its ease of driving, practicality and reliability. Each year, the Honest John Satisfaction Index asks you (our readers) about the good, the bad and the ugly of car ownership. 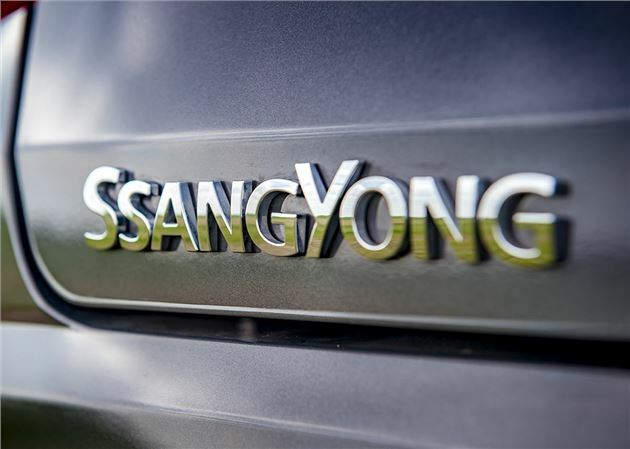 Between December 2017 and July 2018 we received more than 10,000 responses and SsangYong came out on top, notching up an impressive 90.3 per cent satisfaction among its owners. It’s a fantastic result for SsangYong, helped by its excellent range of SUVs, rugged four-wheel drive tech and comprehensive seven year 150,000 mile warranty. Sports car specialist Porsche was second, with 89.4 per cent, while bargain brand Dacia took third with a highly respectable 89.3 per cent. The rise of Dacia is one of 2018’s success stories, with owners hailing their cars as practical and reliable gems. Jaguar was fourth with 88.7 per cent while Lexus (which was named best performing car manufacturer of 2017) slipped down to fifth place with a ownership score of 88.7 per cent. The best overall car in terms of satisfaction was the Toyota Prius, which achieved an overall satisfaction rating of 94.8 per cent. The Prius was also given an unprecedented 10 out of 10 by owners for reliability, making it the UK's most dependable car. Fiat receives the lowest ownership satisfaction rating (80.8 per cent) of any carmaker, with drivers slating the Italian firm for poor fuel economy, disappointing in-car tech and sub-standard ride comfort. Vauxhall and Smart are tied for second worse, at 81.3 per cent, with both criticised by owners for expensive repair costs, high fuel usage and poor comfort. Renault, MINI, Saab and MG filled the other spaces at the blunt end of the Honest John Satisfaction Index 2018. The previous-generation of the Vauxhall Astra (built from 2009 to 2015) is the UK’s worst car for owner satisfaction, with owners complaining about the lacklustre on-the-road performance. Drivers also felt that Vauxhall’s official fuel economy figures were misleading with few getting the mpg they were promised at the showroom. The Renault Captur crossover is the second worst car. Owners felt that it lagged behind its rivals on ride comfort and economy. The Captur is also ranked as one of the worst cars for on-the-road performance, with owners giving it just six out of 10. Each car manufacturer and model was assessed on reliability, build quality, fuel economy, repair costs and performance. Ride comfort, handling, ease of driving, practicality and technology were also considered, as well as safety. To qualify for a listing in the Honest John Satisfaction Index, each model and manufacturer must have received a minimum of 20 independent owner reviews. We need your help with our Satisfaction Index for 2019. What's it like to live with your car? Love it? Loath it? We want to know. Let us know about your car - it will only take a few minutes and you could be helping thousands of others to make a smarter car buying decision. It's a fantastic result for Toyota, with the Prius being rated as the UK's best car for owner satisfaction. Backed by some impressive scores for practicality, reliability and build quality, the Prius leads the way with drivers telling us it's the best car they've ever owner. As a result, it notches up a Satisfaction Index score of 94.8 per cent. Missing out on the top spot by the smallest of margins, the Skoda Superb Estate takes second place in the Satisfaction Index with combined score of 94.5 per cent. Comfortable, easy to drive and supremely practical, the Superb is hailed by its drivers as a simply fantastic family car. It might be a relative newcomer to the large SUV segment, but Skoda has raced to the top of the field with the accomplished Kodiaq. Drivers tell us it's reliable, good to drive and easy to live with. There is also praise for its upmarket cabin and useful everyday tech and seven seat capability. The Toyota Prius is the only car to get maximum points, with an incredible 10 out of 10 for rating for reliability. Owners tell us it's well made, cheap to run and practical. As a result it's an easy to live with car that will provide very few problems in day-to-day driving. Proof that cutting costs doesn’t have to mean cutting corners on quality; the Dacia Sandero outperforms its compact hatchback rivals on reliability with an impressive 9.89 out of 10. That’s an excellent result, when you consider that the Sandero is one of the cheapest new cars on the market. Just pipped into third place, the Lexus IS ranks very well for reliability with a strong 9.87 out of 10. That's just a smidgen short of the Dacia Sandero. Owners also praised the IS for being easy to use and good to drive, with nine out of 10 scores for both sections. The Dacia Sandero is one of those cars that focussed on getting the basics right. Reliable, comfortable and cheap to buy, the Sandero ticks all of hatchback boxes. It’s also highly rated by its owners, with a satisfaction score that comes in just shy of 94 per cent. The original electric Leaf is a car that’s easy to use and cheap to run. Owners praise the Leaf for being a great all-rounder; it notches up almost 10 out of 10 for reliability and ride comfort. It also scores a healthy nine out of 10 for fuel economy and running costs. We're big fans of the Hyundai i10, with its refined cabin, good handling and huge warranty being its standout attributes. Owners agree when we say it's one of the best small cars on sale right now, with the i10 getting a hugely respectable 90 per cent satisfaction score. NFU Mutual has once again been named the best car insurer in the Honest John Satisfaction Index. It topped the board with an overall rating of 9.20 out of a maximum score of 10, heading a list of 35 UK insurance firms. Second place went to John Lewis with a mark of 9.02, while Santander took third spot. All were praised for the quality of their customer service and value for money. LV= (Liverpool Victoria) and Sheilas' Wheels complete the final five, while Sainsbury's Bank, Quote me happy, Saga, Co-Op and Direct Line round up the top 10 insurers. Elephant registered the lowest result of 7.43, followed by 1st Central, Zurich, Hastings Direct and Swinton.